What a sensational and thrilling Six Nations clash. England won it 21-16 in Cardiff but it could have gone either way. Wales will feel aggrieved having been dominant for long periods but for the most part unable to turn pressure on the White Rose line into points. Indeed they spurned two very kickable penalties – Lee Halfpenny was as usual at his brilliant best with the boot – which would have got them home. But it was two tries to one in England’s favour and they just about deserved to sneak it. Mind you, as with France a week before, it was the substitutes off the bench in the last 30 minutes who were the stars. Danny Care came on for Ben Youngs who had an average game by his standards and threw an intercept on the Welsh line which nearly saw Dan Biggar go the length of the pitch. Dylan Hartley never quite put it together either, the first to be replaced – by Jamie George. Ben Te’o injected some pace and power in midfield, James Haskell was immense and Kyle Sinkler won the killer turnover as England looked to play out the last three minutes. Joe Launchbury got man of the match but Courtney Lawes was immense. He was simply everywhere. Elliott Daly was excellent too. It appeared for some while that Wales’ terrific back row led by Sam Warburton and Ross Moriarty against England’s relatively inexperienced six, seven and eight was going to make the difference. 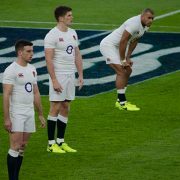 After early exchanges of penalties England went into an 8-3 lead as Youngs squirmed over following heavy English pressure. But then Wales came to the fore. Halfpenny got another penalty and then just before half time Liam Williams struck with a planned move which saw him race from his wing to carve through a gaping hole in England’s centre-threequarters, with Jack Nowell unable to get across in time to take his man. Was there more than a hint of crossing? No obstruction ruled the referee. From there Wales held on through the penalty exchanges and could even have gone further ahead. 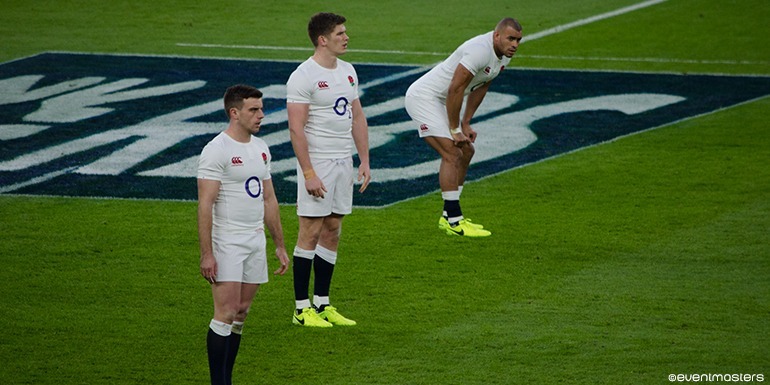 But at 16-14 down England had the better of the last 20 minutes and made it count when all seemed near lost. With the crowd baying as the referee ignored two apparently blatant Welsh infringements, the ball was kicked clear only for England to mount a last ditch attack which saw Daly take a despairing Alex Cuthbert on the outside to cross at the corner. 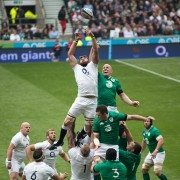 Wonderful stuff from Daly but one had to feel sorrow for Cuthbert. In for the injured George North and not in the best of form, he has played many times for his country and has mostly put in solid if rarely brilliant performances. Would North have got Daly? Probably. However, ifs and buts count for nothing in sport. Victories over Wales in Cardiff are always special. What is it they say? If you can still win when not playing at your best you have to be a decent side, and England are.